Description : Engine: Detroit, In Line 6 cyl, 550 hp, 1800 RPM, Radiator Cooled, Electric Starter, 1 Turbo, Weather Proof Enclosure, Batt Charger, MFG Date 2000, Ser # 06R0570603. 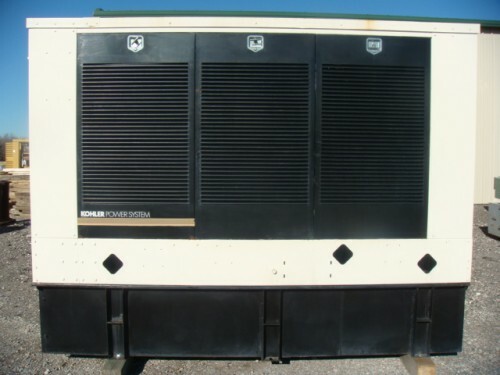 Generator: Marathon, Model # 250REOZD 4UA10, Spec # PA194336, STBY Rating, 265 kw, 331 kva, 480 Volt, 60 hz, 3 ph, 1800 RPM, 400 Gal Base Tank, Ser # 0654326. Dem. L135in X W51in X H105in.